Finding products and suppliers in the knitting and hosiery industries is easy with our Knitting Industry Finder online directory. This year’s Make it British Live! event hosted around 200 exhibitors, attracting the biggest number of visitors so far, according to Kate Hills. Italian and foreign industry leaders are getting ready to travel to Brescia, one of Italy’s hosiery manufacturing centres, this month. The online directory for the knitting and hosiery industries covers machinery & equipment, fibres & yarns, fabrics, garments & finished goods and hosiery and socks. November was a really exciting month for us here at Knitting Industry, as we introduced no fewer than five new international editorial contributors. The Japanese company, which is currently experiencing unprecedented demand for its machines and design systems, hosted over 1500 guests from around the world at The Big Whale indoor arena in its home city of Wakayama. Germany’s Mayer & Cie., the leading circular knitting machine builder is celebrating this week. Leading warp knitting machinery manufacturer Karl Mayer organised a series of open house events in Obertshausen, Germany, in July. Not surprisingly, Asia received the highest share of shipments at 94%. 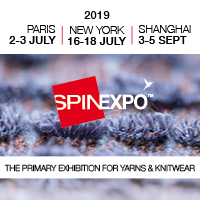 A number of knitting machinery specialists will present their developments promoting knitted applications in the field of technical textiles.